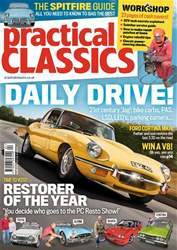 (1 Customer Reviews) | Write Review 13 issues per year Practical Classics has a 30-year tradition of delivering the very best, hands-on classic car experiences. Every writer works on and restores their own classics, and each issue is packed with rigorous buying advice, real-world product tests, inspirational classic driving features and fascinating historical insight. Looking for Practical Classics in print? 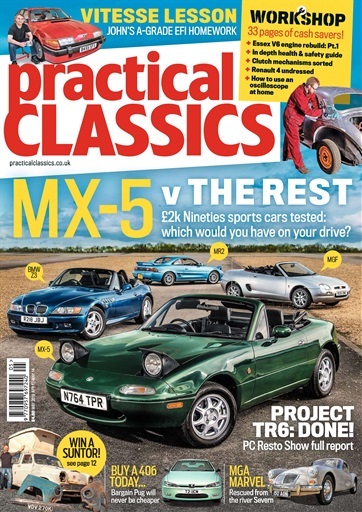 Unfortunately pocketmags.com does not sell print copies of Practical Classics, but all is not lost. Our partner at magazine.co.uk sells print subscriptions at the best prices online. We celebrate your precious metal and a submerged MGA is ‘Star Car’. How John Jones returned this Rover SD1 Vitesse to better-than-new condition at home. Restored to perfection, the car Robbert’s mum bought new. Practical Classics has a 30-year tradition of delivering the very best, hands-on classic car experiences. Every writer works on and restores their own classics, and each issue is packed with rigorous buying advice, real-world product tests, inspirational classic driving features and fascinating historical insight. 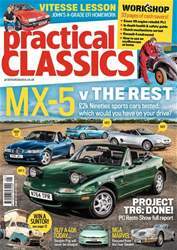 You'll receive 13 issues during a 1 year Practical Classics magazine subscription. I have only been reading this mag recently but I am already hooked! There is a little bit of everything in here, funny stories, inspirational restoration stories even buying guides! And this website is selling this mag so cheap! Only £3 where to buy it in a store is £4.40, the image that you look at is clearly not the best quality but you can't be too picky at this price! 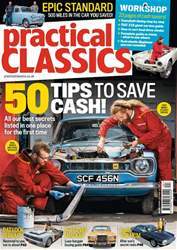 You'll receive 13 issues during a 1 year Practical Classics magazine print subscription.